Iona Close Orchard is a fascinating relic of a Victorian garden. The houses to which it originally belonged date to about 1825. Hidden away behind a few mature ash and Norway maple trees are several fine old fruit trees, apples, pears, plums and a mulberry. Although it has become has become overgrow, it has remained largely undisturbed, and is therefore a haven for wildlife. Old orchards are generally of high nature conservation value and there is concern that they may disappear. There are a number of uncommon invertebrates which specialise in feeding on dead wood or sap runs on fruit trees. Fruit and nectar also provide food for other foraging insects and birds. 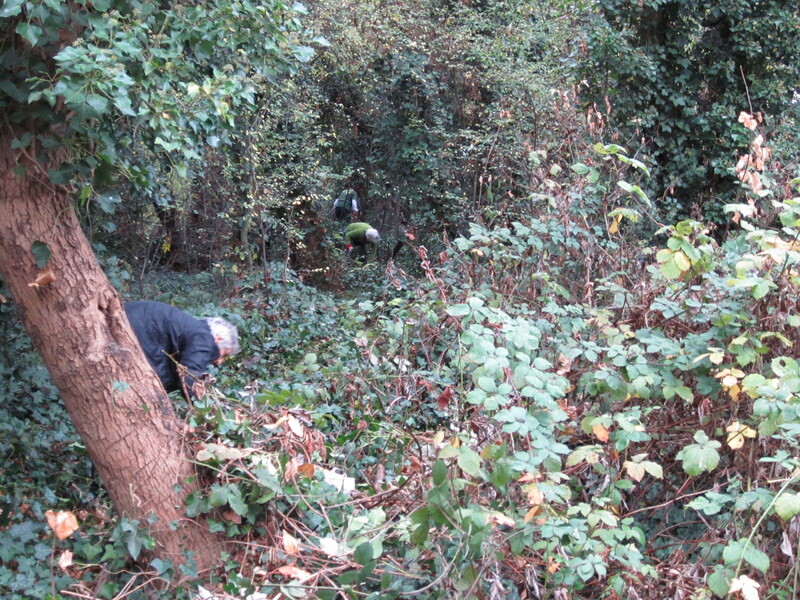 There is a need to carry out basic vegetation management to enable access so that a restoration project is possible. Some of the existing trees are crowded out by others and need to be removed to make space. Therefore, the restoration would involve establishing an access path and then the selective removal of some trees and scrub to favour identified fruit trees. The project will look to enhance the fruit stock by appropriate additional planting. 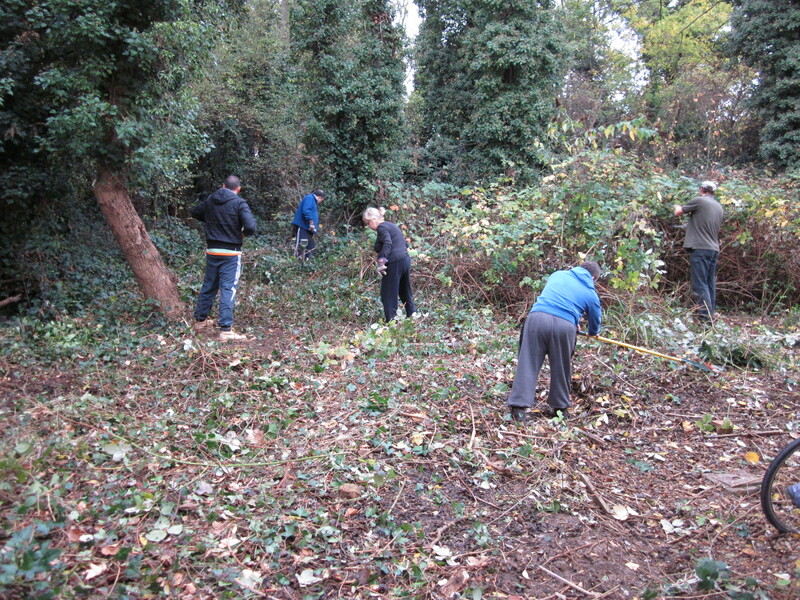 So thanks to a successful bid to the Mayor’s Fund work has started on turning this old site in to a viable orchard. 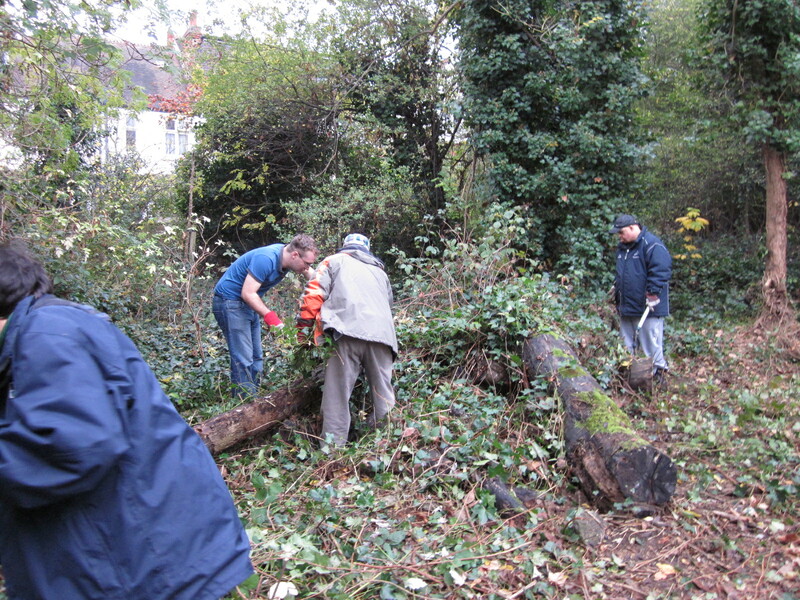 On Thursday 3 November the Ladywell Fields User Group along with volunteers from Nature’s Gymset to work clearing the site to allow access for the initial tree works. This is the first of a number of volunteer sessions that will seek to improve the site as a nature reserve, in accordance with the Council Ecology Officer’s management plan for the site. For example the old fruit trees need considerable maintenance (some may need professional felling), a simple fence needs to be erected, and a pathway around the site needs to be laid/built. Jess, I actually live in the property that the land belongs to, so I am keen to talk to you about this project as I of course have a vested interest in this. Please get in contact. thanks for your email on our website – your email didn’t seem to work so spending this to you via your blog.